How To Stay Cool This Summer! Summer is a wonderful time of year – the days are longer and it’s nice and warm. Sometimes, though, it can be too warm, so how will you stay cool this Summer? As a child, Summer was my favourite season. Not only was it school holidays, it also meant beach vacations and ice-cream. We also loved making home-made ice blocks and running around in the backyard, playing in the pool. Perhaps it’s just my imagination, but it feels like each year is getting warmer (hello, global warming). 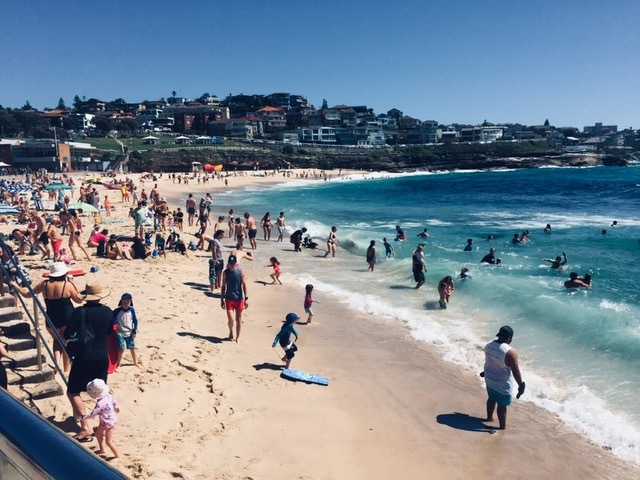 The ABC reported in March 2017, that Sydney had the hottest summer since records began. And, according to the Bureau of Meteorology, Summer 2017-2018 was warmer than average, with several monthly records set for single hottest days. So, what can we do to keep our cool as the temperature heats up? Perhaps history can give us some clues…. For over 3000 years, the Chinese have been using hand held fans, but the Indians prefer to drink a cup of hot chai to cool down. Ancient Romans are known to have to controlled the inside temperature of their homes. They designed elaborate aqueduct systems to circulate cool water through the walls of their houses. In 2 AD, a Chinese inventor built the first room-sized rotary fan. This was however, still hand powered. Fast forward to America, 1881 in Washington DC. Then president, James Garfield, had engineers design an awkward device which blew air through cotton sheets which had been soaked in ice to help him keep cool. Unfortunately, this was not very cost effective as they burnt through half a million pounds of ice in two months! Lucky for us, electricity was invented by Nikola Tesla, in 1888. In 1902, New York engineer, Willis Carrier invented the first air-conditioning unit. Initially designed to control the humidity in the printing plant where he worked, this unit was eventually modified and introduced to the wider public in 1925 when it was installed at the Rivoli Theatre in Times Square. Isn’t it crazy to think that we have had the luxury of air-conditioning for less than 100 years? But, if you don’t have this modern creature comfort installed in your home, what else can you do to keep cool this Summer? If you’re unlucky enough not to have air-conditioning, I’m assuming you’re already at the movies or local shopping centre. And if you’re not close to a beach, what else can you do to stay cool this Summer? Stay low – hot air rises. If you live in a double or triple storey house, you’ll always find that the coolest place is the lowest floor. If you can’t just move in with your neighbour downstairs because you live in an apartment block, having a futon can help keep you lower to the ground when you sleep. I know that some of the tips above are pretty common. So here are some other tips that you may not have tried to help you stay cool this summer. Use an umbrella – in Asia, it’s common to use an umbrella to keep the sun and rain at bay. Golfers are also known to use one in the heat of the day to keep themselves shaded whilst outdoors. Some brolly’s are known to block up to 99% UV radiation and it seems that the darker the shade, the better. Mindfulness… The Best Present To Gift Your Loved Ones (and You) This Christmas! Why Is Drinking Water So Important After A Massage? Why Is Sleep So Important and How Much Do We Actually Need? Professional remedial massage services, conveniently located in the heart of Sydney's CBD at Martin Place.